A second wave of mass protests against the government, in the space of the first six months of this year, is taking place in Iran. The first flare-up occurred at the beginning of January, when hundreds of thousands of Iranians took to the streets of large cities, attacking police stations and local municipal buildings. 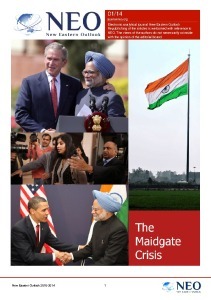 At the time, the central government was caught off guard and the first two days, did not know what to do. Only when lives were lost and people were injured, and protesters bred leaders, the state resorted to the use of force, also deploying the Islamic Revolutionary Guard Corps. In 5 days’ the protests abated, but a feeling remained that this was not the end but just the beginning, moving Iran ever closer to the local version of an Arab Spring followed by a “Colour Revolution”. 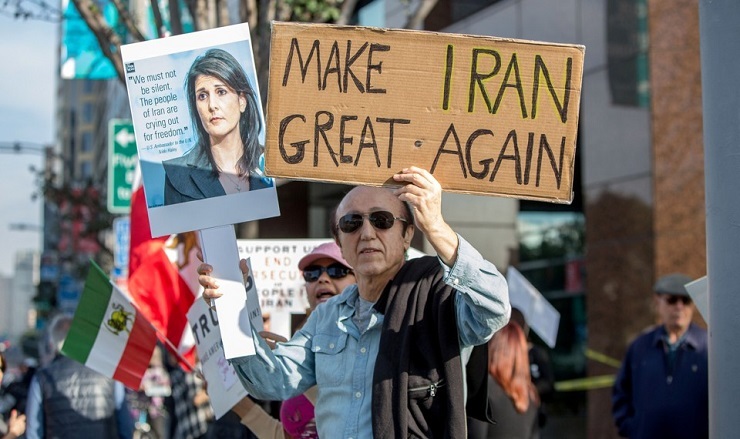 Besides, Western countries, first and foremost the US and neighboring Arabic monarchies of the Persian Gulf, are ready to donate all of their resources to trigger mass protests in Iran, which will gradually transform into a change of its ruling regime. On 24 June, the protests, stemming from the sudden drop in value of the national currency and the worsening economic situation in the country, quickly gained momentum Political slogans are added to discontent with prices, and protesters demand government’s resign. A wave of protests had started a day earlier, when the value of the national currency fell to record levels of 87,000 rials against 1 US dollar on unofficial markets. First, traders in mobile phones took to the streets demanding that the government undertake immediate measures to strengthen the internal market. On 25 June, a column of protesters marched along the main street of the capital towards Parliament, appealing to the police to support the people. The first confrontation between the manifestation participants and the police occurred in front of the Parliament building, where law enforcement employed tear gas. The protesters then started to burn car tires and chant “Death to Khomeini!”. This time around, strong displeasure towards Iranian foreign policies was voiced, as those who had flooded the streets demanded that the government stop interfering in the internal affairs of Syria, Lebanon and also Palestine, by chanting “I don’t live in Gaza, or Lebanon, I live here in Iran”. Iran’s foes quickly took advantage of the situation, with Tel Aviv, de facto, becoming directly involved in Iran’s internal affairs and inciting the growth of the protest movement. Hence, on 25 June, the Israeli Ministry of Foreign Affairs published a message wishing the Iranian people success in their struggles on their Twitter feed in Farsi. But then the Israeli Ministry came in for heavy criticism in political and diplomatic circles, which is why, a few hours later, the Tweet was deleted. The current protests are much smaller in scale than those half a year ago, but the reason behind is the same, the worsening socio-economic situation in Iran. This time around the protests were sparked by a substantial devaluation of the national currency. Clearly, this issue directly concerns residents of larger cities, and its consequences will only reach rural residents later, hence the protests are more localized and the crowds not as sizeable at the moment. Still, the frequency of these revolts points to the intensifying crisis and the Iranian leadership’s inability to handle it. Iran is engaged in three wars in Iraq, Syria and Yemen, all at the same time. And although it is neither a direct nor official participant in these conflicts, limiting its involvement to sending the Islamic Revolutionary Guard Corps to these conflict zones, training Shiite armed units and supplying weapons, each war is still a burden on the Iranian economy, which is already weakened by Western sanctions imposed in response to the Iranian Nuclear Program. Aside from the previously mentioned armed conflicts, Tehran is providing aid to radical groups such as Palestine’s Hamas, Lebanon’s Hezbollah, the Iraqi Shia al-Hashd al-Shaabi movement and others. Many Iranians view this foreign policy as being detrimental to the interests of the Iranian people, as they are the ones forced to cover the costs of these conflicts. “Khomeini’s revolutionary expansion” into the neighboring region is increasingly viewed as a mistake by the Iranian population, since accumulated internal problems remain unresolved and there are no signs of modernization of Iran’s socio-political apparatus. Educated Iranians think that Ayatollah’s regime does not concern itself with how ordinary people live in their own country, but instead focuses on spreading the idea behind the Shiite “Revolutionary Clericalism” model. Although historical experience clearly shows that the consequences and results of such actions are the same everywhere – plunging into poverty of the “base” source-nation of revolutionary change, which serves as a resource donor to propagate its reorganization ideas in other countries. In the past, Trotskyism represented such “sinful” beliefs in Soviet Russia, which is why the Soviet leaders rushed to rid themselves of it, by instead focusing first on establishing an industrial powerhouse, an army, etc. The negative experience associated with the spread of the ideas behind the Bolivian Revolution to Venezuela and neighboring nations is an example from more recent history. Clearly Iran is not Venezuela, with its abrupt economic decline and an open confrontation between the government and the people, but if the current trends continue, Iran will end up in the same situation as Venezuela. We should also mention that Tehran clearly understands the current threat of internal tensions boiling over, especially because of the increasing external pressure being exerted on Iran by the USA, Israel, Saudi Arabia, a number of other countries in the region, and the Shia Iraqi leadership (due to its displeasure with the Iranian interference in its affairs). But the current power structure and system of governance, in place since the Khomeini revolution in 1979, is visibly outdated and if not reformed, does not give the country an opportunity to embark on a new course. The existing military and law enforcement institutions, such as the Islamic Revolutionary Guard Corps and Basij, have their own economies and finances, serving not the country but the external Shiite initiatives in the Middle East. That is why only religious power structures can exert influence on these institutions and not the fairly non clerical administrative centers represented by the President and the government. 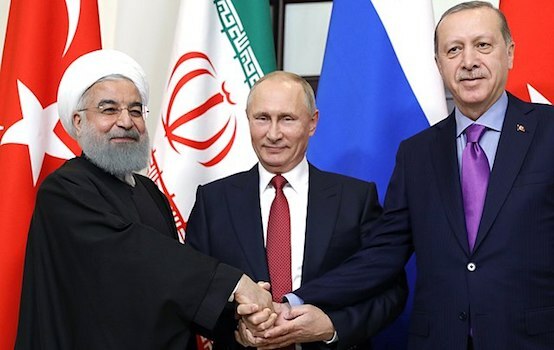 Hence the initiatives aimed at promoting the “Shia Crescent” in the region, the reason Tehran chose to involve itself in the war in Syria, the Yemeni conflict and the Iraqi crisis, take priority over projects whose goals are to develop Iran itself. The consequences are, on the one hand, the deteriorating Iranian economy, on the other, Iran turning into an outcast (with active support from the propaganda apparatus of the USA, Israel and conservative regimes of the Arabic states from the Persian Gulf) in the eyes of many Western countries, which further exacerbates its economic woes. Iran’s problems are not being solved but are instead accumulating. Surely the current protests are, in all likelihood, outward manifestations of what is happening in the Iranian society. So far these protests cannot topple the regime, and the events in winter demonstrated that without sound organization and support from the governing elite majority, any revolts, staged by the Iranian population, are doomed to fizzle out all by themselves, especially since the powers have so far avoided deploying the full might of their repressive state apparatus, thus giving the protesters an opportunity to blow off steam. Still, the current events in Iran point to a systematic crisis in this country and the inability of the ruling clerical regime to resolve the existing dissent in the Iranian society.